This Sonic Automotive store relocation of MDL’s existing customer Momentum Audi was planned for months in advanced with the Sonic facility construction crew. 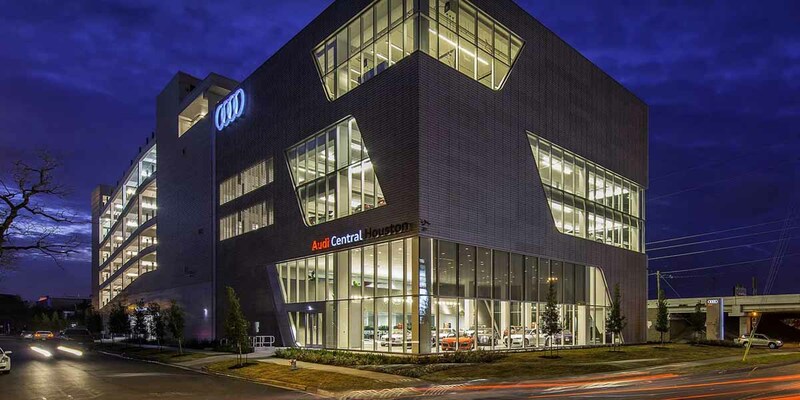 Audi USA also worked closely with MDL to make this a state of the art Audi showcase store using the latest MDL RFID technologies for Service Drive Concierge and completed Zonal Tracking. In short, a blueprint for Audi’s Progressive Retail vision of the future of dealerships. As for the customer experience, guests are welcomed visually both on their vehicle and their loaner vehicle during arrival with four (4) flat screen event displays. Valets greet the guests personally providing an instant ‘wow’ factor of true personalized service. Service Advisors receive instant alert arrivals. Sales staff receive instant alert arrivals. And for any extra special guests, Jared Lang (General Manager) or John Aulicino (Service Director) can flag individual guests for VIP notification. Now that’s how you make a guest feel like truly important and known! Eight (8) RFID readers throughout the facility with twenty (20) antennas. MIMO mini displays for appointment and arrival event presentation. Contact us today via voice, email, or social media! We look forward to speaking with you about all the ways MDL can benefit your business. This helps us prevent spam. Thank you!